Giving someone the finger is never a polite thing to do, no matter the reason or how much of an idiot the recipient may appear to be. In western nations like the USA, the middle finger tends to be employed occasionally while driving. It’s not nice of course, but generally doesn’t result in serious consequences for either party. Occasionally something funny happens, like this video of Floridian idiot, Jeffrey Travis White, whose skillfully timed demonstration of redneck road rage/instant karma earned him an unwanted fifteen minutes and amused millions. Cultural sensitivities however can be, well, sensitive I guess, and in some places giving someone the bird can have serious consequences. In the Sultanate of Oman for example, giving someone the finger is not a great idea. Rude hand gestures can prove expensive and are punishable by law. Here’s a breakdown of some Omani road rules which differ slightly from those of western nations. Fine for making a rude or offensive gesture toward another motorist – 500 rials ($1300). 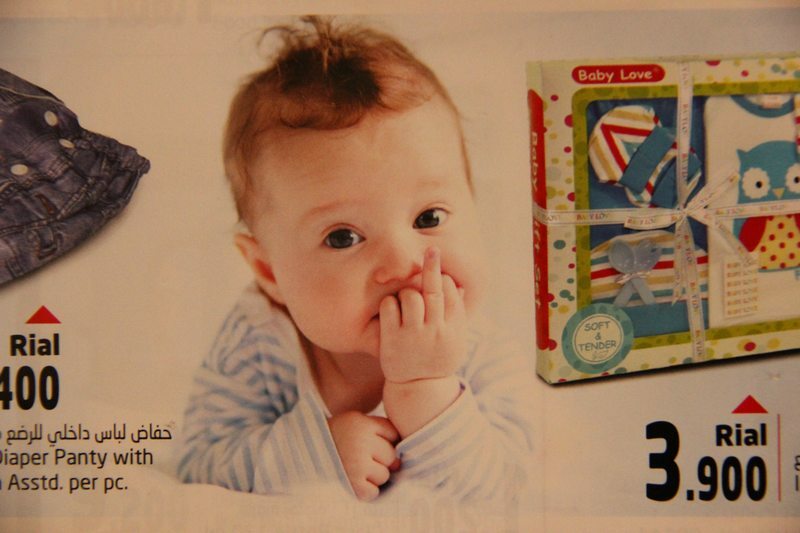 My wife and I had a laugh then, when she spotted this advertisement in a catalogue for the Emirati supermarket chain, Lulu. Lulu’s catalogue, Oman – March/April, 2014. Photo: Peninsularity Ensues. It’d be easy to miss, but I imagine the photographer had a bit of a laugh slipping this one past the editor. 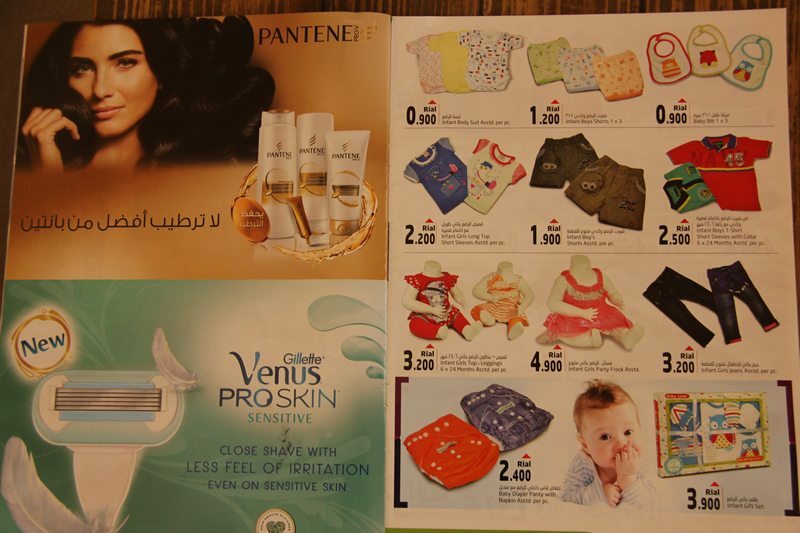 Lulu’s catalogue, Oman – March/April, 2014. Next articleThe Rise and Fail of Dubai? 2 Comments on "Travel Safety Tips: When Not to Flip the Bird"
You have a sense of timing in your writing… and as a Pittsburgher, Thank You for including Mr. R — he really was genuine! It’s awesome designed for me to have a website, which is good designed for my knowledge. Just for the Hell of it… North Korean Women, with Guns! !